Whip up these loaded mashed potatoes, chock full of bacon, sharp Cheddar cheese, green onions, and sour cream, for an extra-special dinner side. Frozen mashed potatoes jump start the preparation for Quick Mashed Potatoes. Fresh chives top off this simple side. 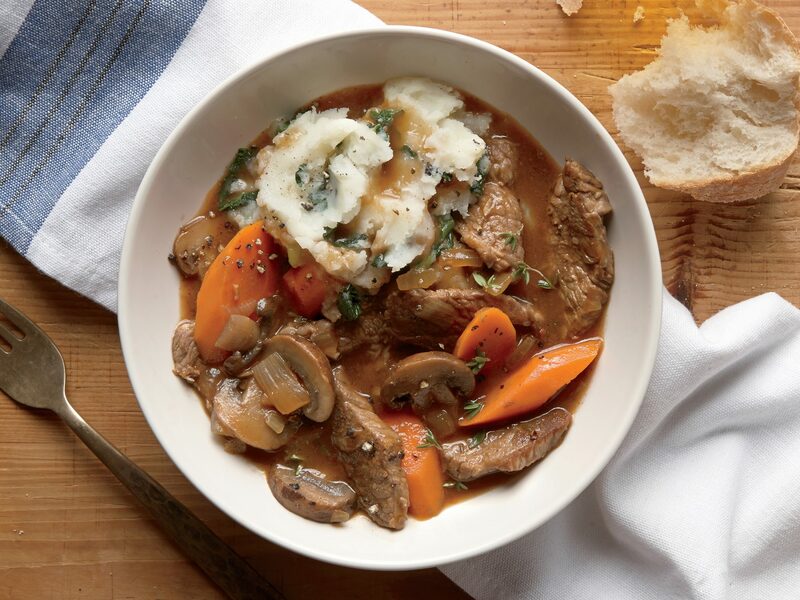 The gravy is the standout, perfect for stirring into mashed potatoes. 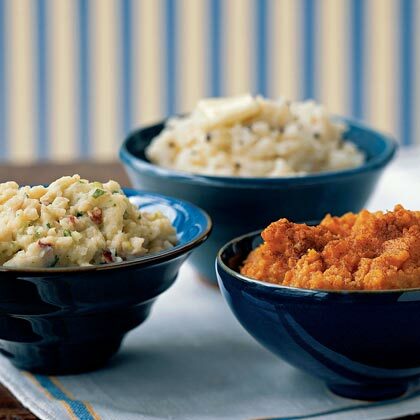 Serve with quick-cooking greens like spinach or kale for an easy, family-friendly meal. 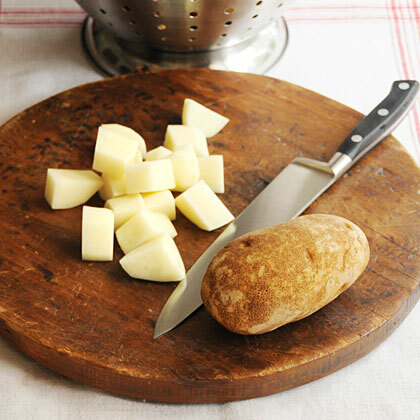 How do I know which potato to use for mashed versus roasted potatoes? 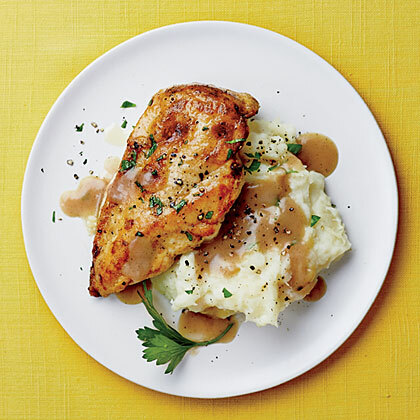 These classic mashed potatoes are the perfect side for both quick weeknight dinners and fancy holiday spreads. 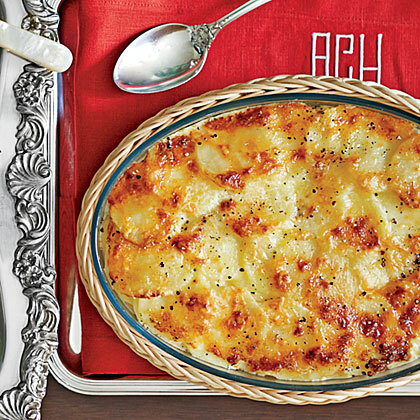 A mixture of Gruyère and Parmesan cheese makes luxurious baked Potatoes Patio all the more delicious. 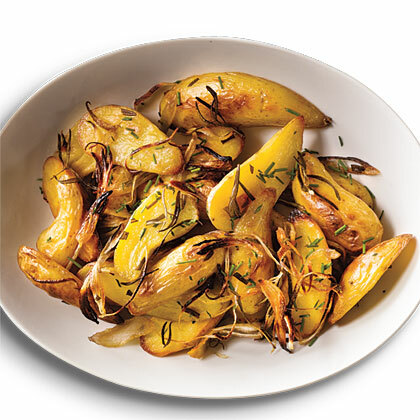 Simple ingredients yield flavorful Herbed Gold Potatoes. 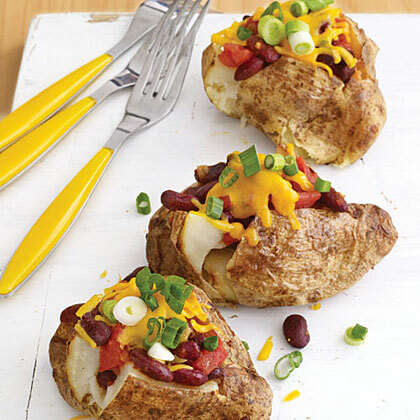 Ready in under an hour, Chili-Cheese Baked Potatoes are overflowing with hearty, filling and flavorful ingredients. 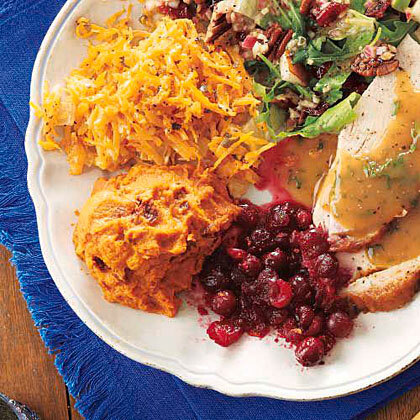 These baked potatoes make a cozy one-dish meal. 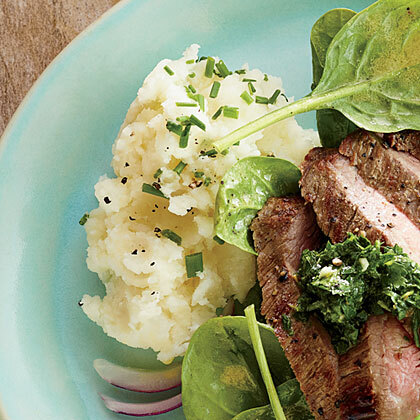 We stir in a bit of greens to up the nutritional value in Kale Mashed Potatoes. 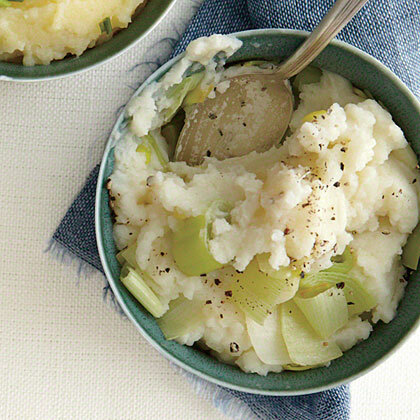 This side dish gets a head start with frozen mashed potatoes. These roasted fingerling potatoes are perfect for a holiday meal: quick and convenient, but still plenty dressy. They cook in about the same time it takes for a large roast to rest before carving. Bake the potatoes in their jackets so the outsides get nice and browned while the buttery interiors gently cook through. Boring potatoes these are not, thanks to flavor-packed stir-ins. 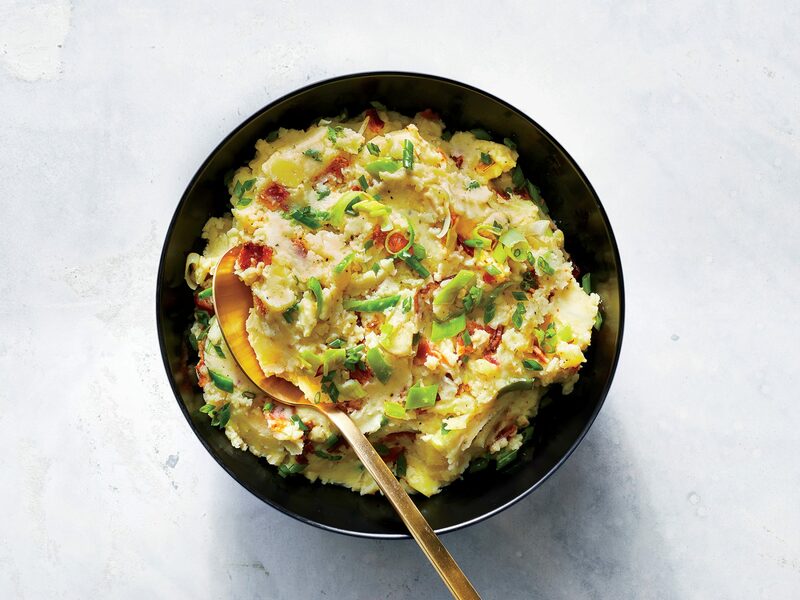 Leeks add gut-friendly prebiotic fiber to this dish; a smart amount of center-cut bacon imparts smoky, salty undertones. 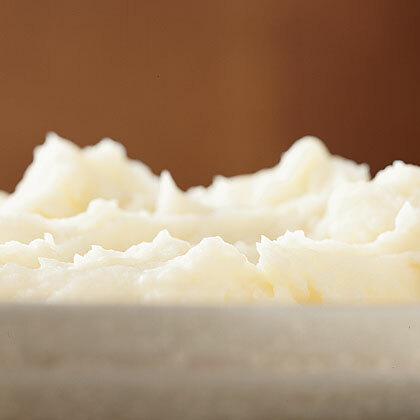 Be sure to pick up Yukon Gold potatoes; their higher starch content yields a fluffier, creamier mash. And how long do sweet potatoes last, exactly? 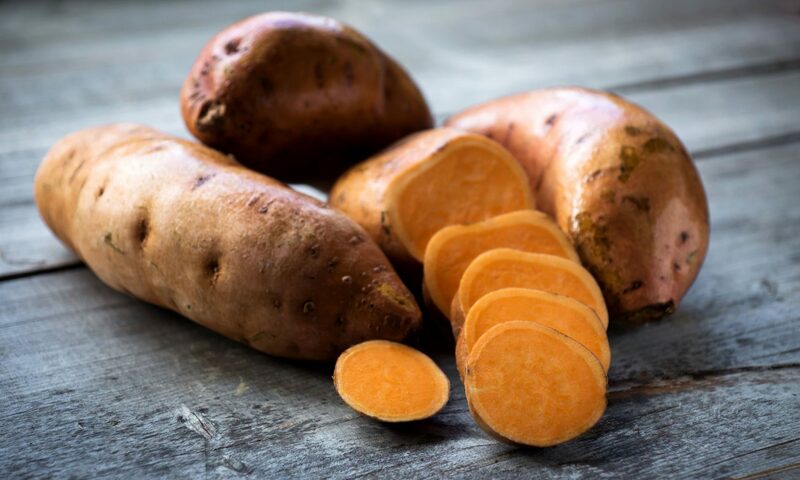 Chipotle Sweet Potatoes deliver a smoky, spicy twist to the traditional sweet potato side dish. 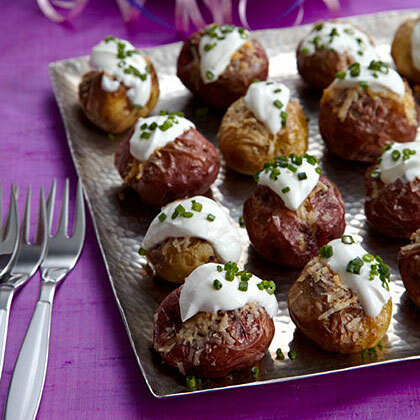 With all the flavor of a full-sized potato, what’s not to love about this easy-to-eat Mini Twice-Baked Potatoes? 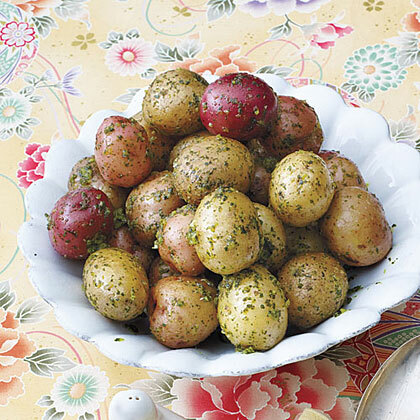 Fresh citrusy flavor shines in this side dish of New Potatoes with Parsley Butter. 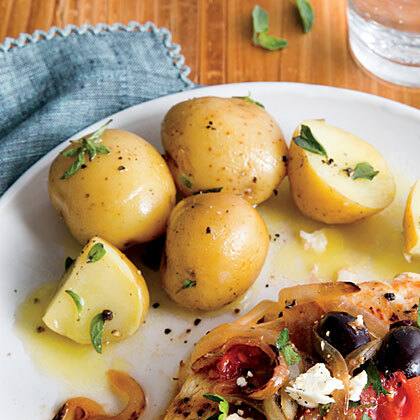 These oven-roated potatoes are seasoned with garlic, Italian seasoning, and a little olive oil for a simple, hearty side dish. 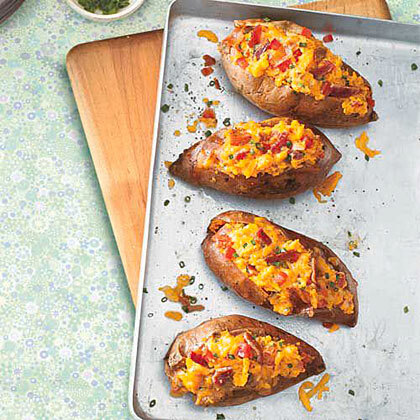 We swapped regular potatoes for sweet potatoes to bring extra vitamins to the dinner table for these Twice-Baked Sweet Potatoes with Cheddar and Bacon.